This is a quick, free and easy way to ensure our children safety. 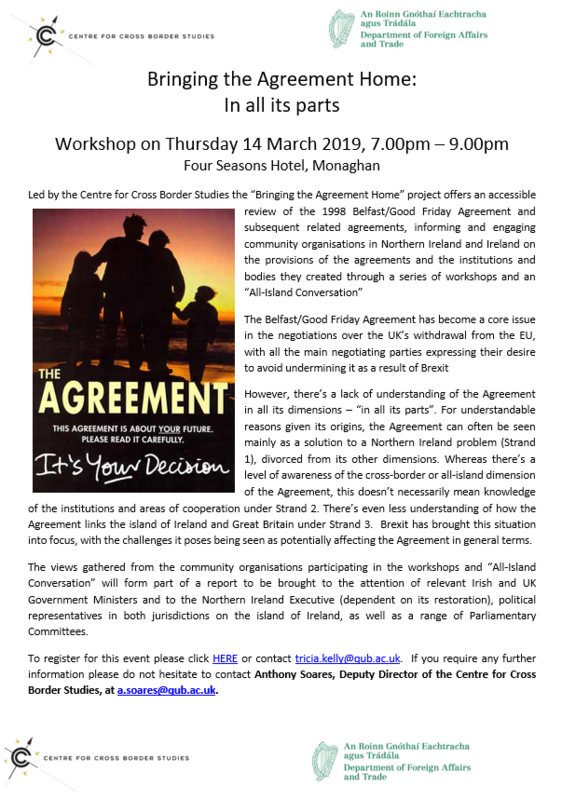 Department of Foreign Affairs and Trade have organised a Bringing The Agreement Home workshop which will take place in The Four Seasons Hotel, Monaghan on Thursday 14th March from 7pm – 9pm. The workshop has been organised to provide an accessible review of the 1998 Good Friday Agreement. 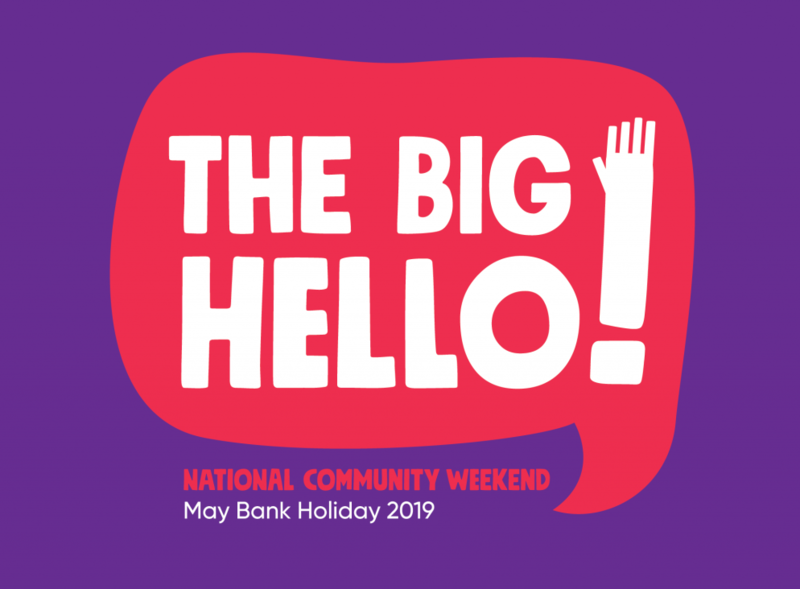 Say a Big Hello to your neighbours by hosting an event as part of National Community Weekend May 4th – May 6th 2019. 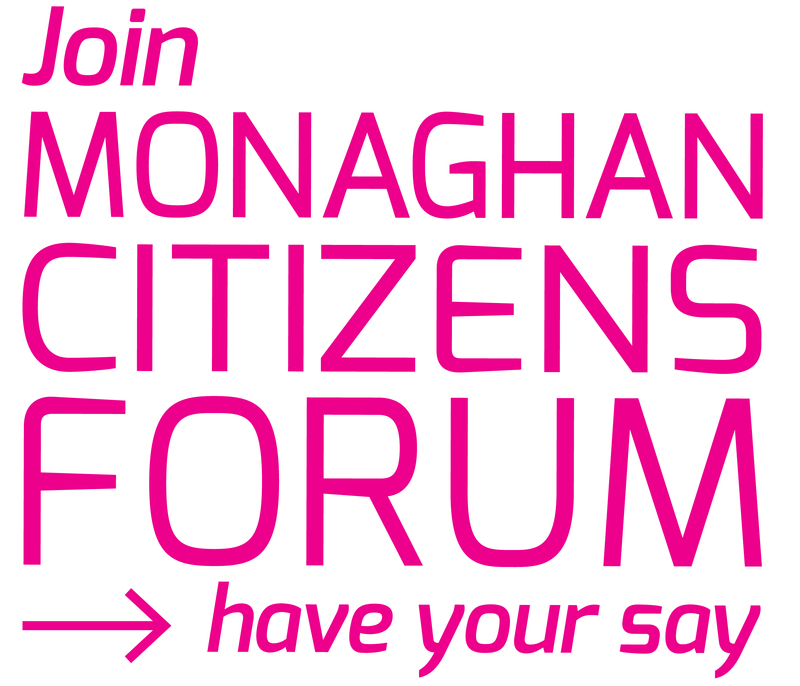 Monaghan Local Community Development Committee (LCDC) will be asking local communities to come up with ideas for events in their areas. 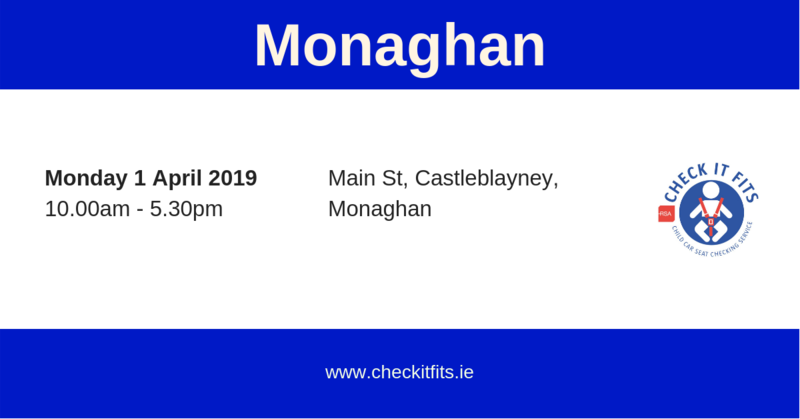 The event is to be a celebration of great community spirit we have in Co. Monaghan and to foster a sense of belonging for everyone. 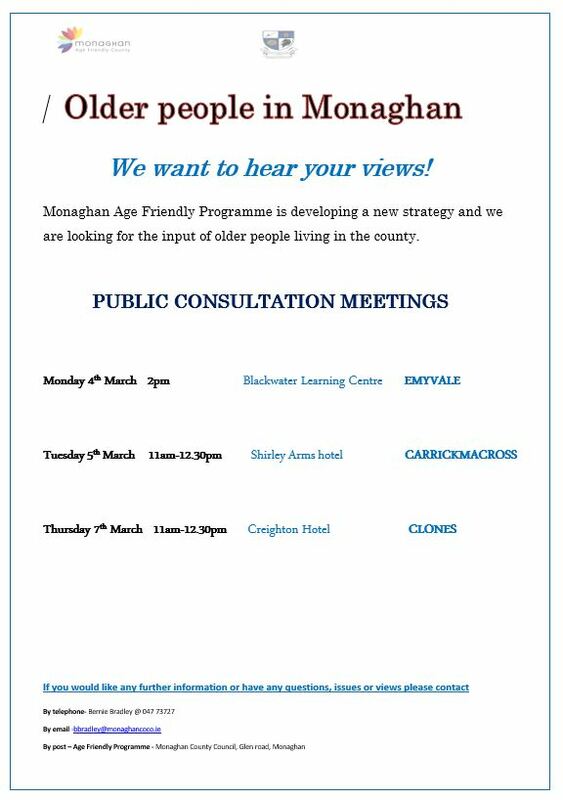 Monaghan County Council are developing an Older Persons Strategy. To get your views, they are holding public consultation meetings as outlined below. Cavan Monaghan ETB invites applications from youth clubs to its annual youth club grants scheme. Closing date 12th April. The DM Thomas Foundation Central Grants Programme is inviting applications to its central grants programme, which is open to applications from Ireland and the UK. The Foundation, formerly known as the Hilton in the Community Foundation, has a special focus on supporting young people with disabilities, supporting employability and training programmes, enhancing the experiences of life-limited children in hospice care and supporting sick children in hospital. Their projects provide training, equipment, experiences and support so that young people can reach their full potential. 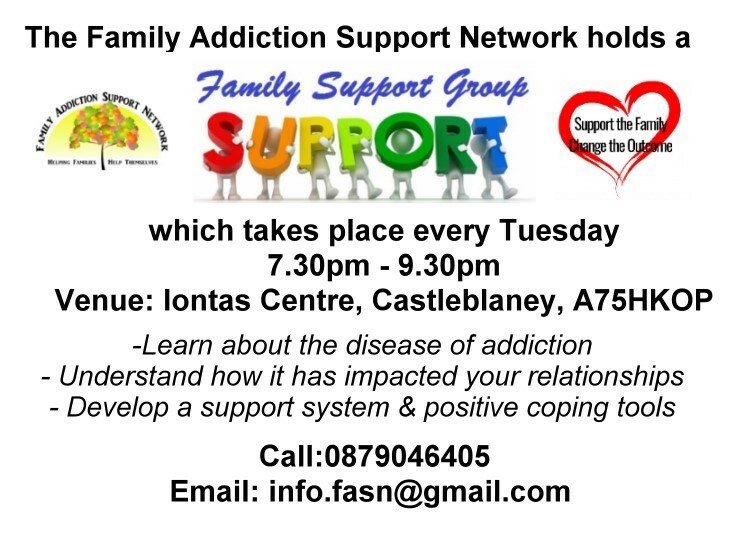 They focus on partnering with local organisations which often struggle to attract support. The Foundation is a small charity and generally will not make awards of over £30,000 (per year) for up to two years. Funding can be requested for one-off projects or for up to 2 years work. Applications from schools and hospitals are welcomed as long as they are made through an appropriate registered charity. 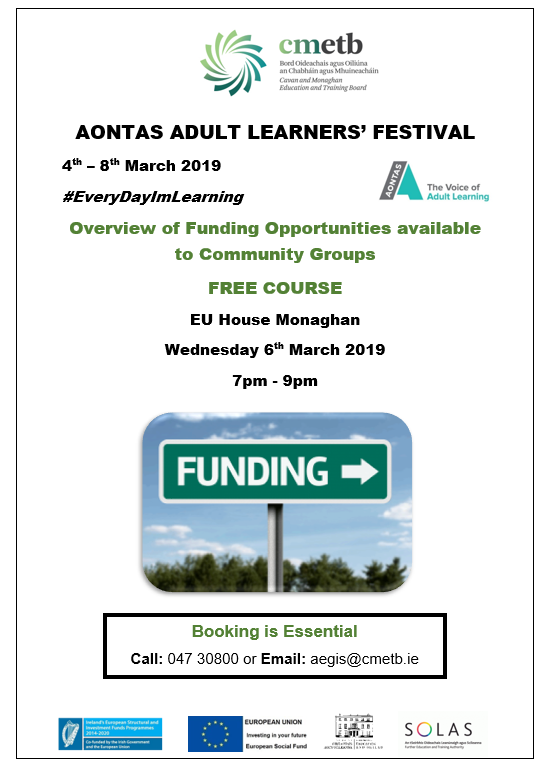 Grant applications for up to £5,000 can be approved by the Director, up to £10,000 can be approved by the Grants Committee, and applications for more than £10,000 are recommended to the Trustees for final approval. The Social Innovation Fund has launched The Mná na hÉireann, Women of Ireland Fund, a €1.8 million fund over three years created by Social Innovation Fund Ireland in partnership with Bank of America and the Department of Rural and Community Development. The Fund is calling for applications from organisations that support and empower women to progress their education or progress into new or more sustainable employment.